I hope you're all enjoying the FREE BACK TO SCHOOL PRINTABLES SET! Today, I'm happy to have Cris McGrath from Crissy's Crafts here to show us all how to make her adorable CRAYON CUPCAKE HOLDERS. I am really excited to share with all Amanda Parties to Go readers this cute DIY project! 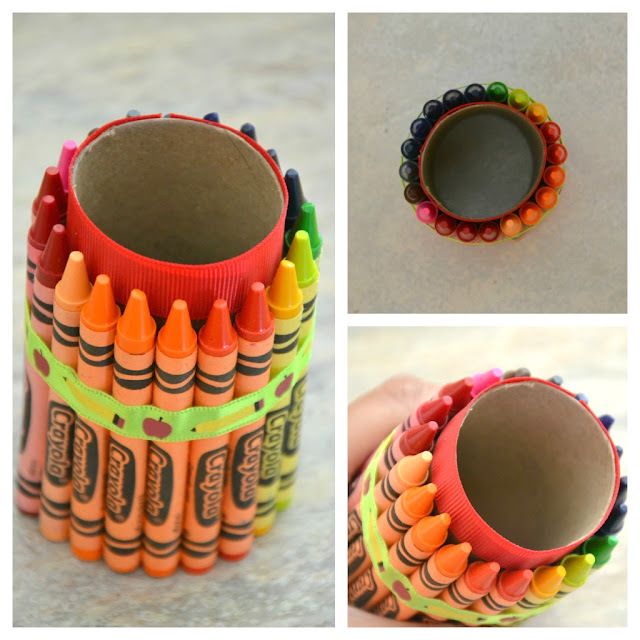 One of my favorite parts about getting ready for a party, is brainstorming ways to come up with simple DIY projects like this crayon cupcake holder. 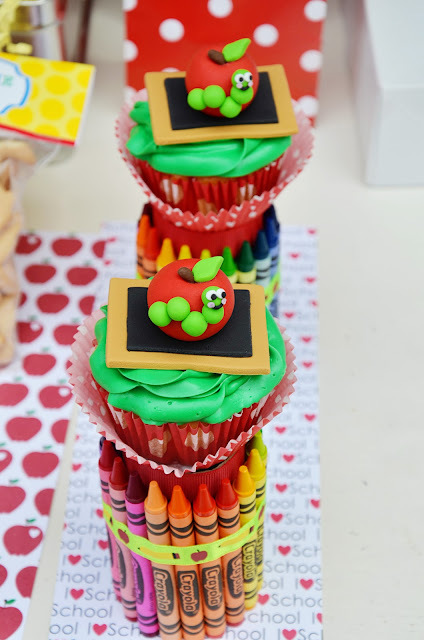 It was an easy, fast and affordable way to make our cute book worm cupcakes toppers from Lynlee's Petite Cakes stand out! They look so adorable and it was the perfect addition to our BACK TO SCHOOL party! 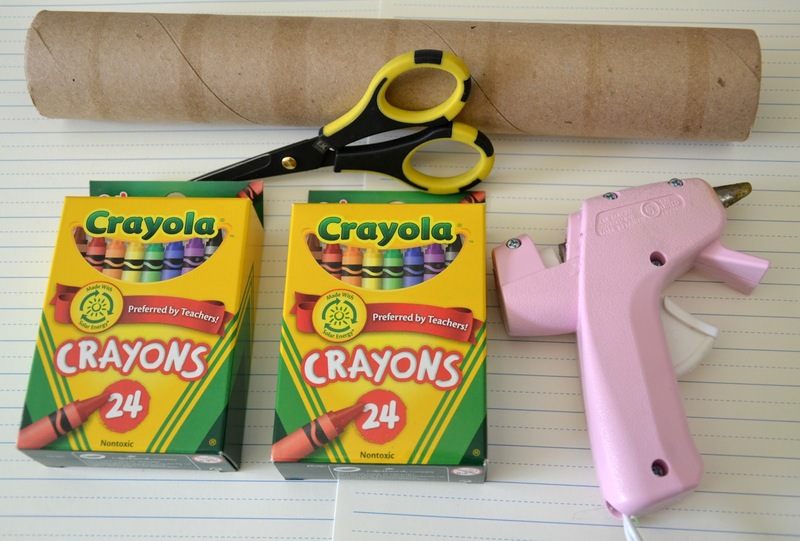 The best part is that you probably have all the materials around your home needed for this project! Yeah! 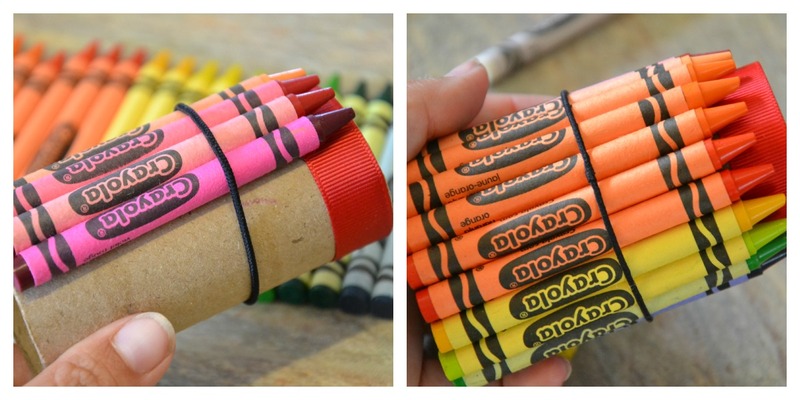 Cut the toilet paper roll the same high as the crayons. I added a red ribbon to the top of the roll before adding the crayons to cover the top of the roll. 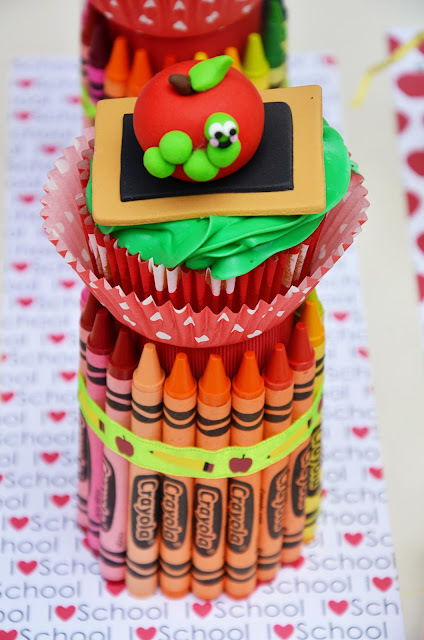 I was going to hot glue the crayons but I opted to have all the crayons secured by a rubber band and added a self stick scrapbook ribbon on top of the rubber band. 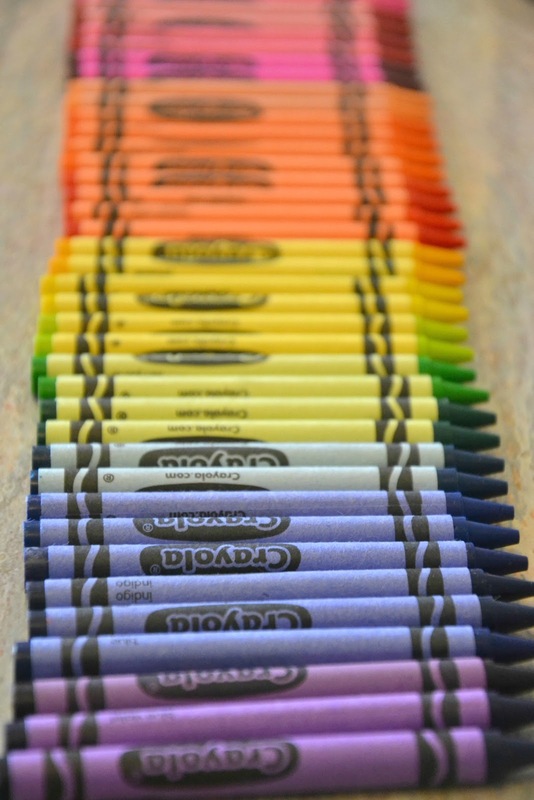 You can also glue all the crayons to the roll and simply glue a ribbon of your choice. The self stick ribbon really kept the crayons together and the best part was that after the party, I simply took the ribbon and the rubber band off and now we have extra crayons for another Back to school project!